Uncharted 4 Trailer Goes Viral For The Wrong Reason. Posted on February 25, 2016 by Big Red	in Gaming Booty, Trailer Booty and tagged a thief's end trailer, assassin's creed, game trailers, gaming, naughty dog, naughty dog stole artowrk uncharted 4 news, ubisoft, uncharted 4 trailer. Earlier this week the trailer for Naughty Dog’s long awaited game Uncharted 4: A Thief’s End was finally released. As per, the award winning game developer did not disappoint with the trailer hitting all the right marks for fans. Except there was a slight problem with the trailer’s content, more specifically it turned out some of the footage used was from another game. We doubt that this ‘mix-up’ will have any detrimental effect on the launch day sales of the game. 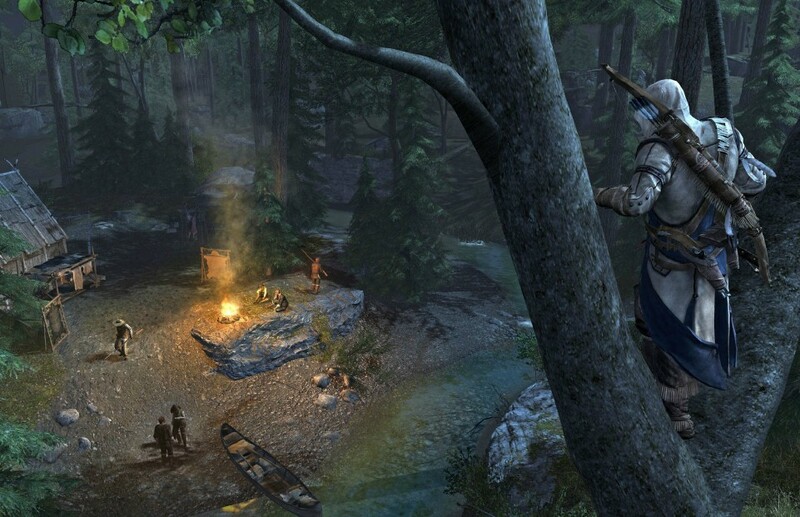 Official Trailer For Assassin’s Creed: Rogue. Posted on August 6, 2014 by Big Red	in Gaming Booty, Geeky Booty and tagged assassin's creed, assassin's creed rogue, assassin's creed rogue trailer, gameplay trailers, games news, gaming, ubisoft. Here’s a lavish cinematic trailer for Ubisoft’s forthcoming title Assassin’s Creed: Rogue, due out in November for the PS3 and Xbox 360. The premise of the game centres around your character Shay Patrick Cormac, an Irish Assassin who now acts as a hunter of Assassins. Its understood his story will be linked to the next gen game Assassin’s Creed Unity due out in October. Be A Parkour Assassin @ San Diego Comic Con. Posted on July 19, 2014 by Big Red	in Gaming Booty, Geeky Booty and tagged assassin's creed, assassins cred experience, assassins creed unity, games, games news, gaming, gaming news, san diego, san diego comic con 2014, ubisoft. To promote their forthcoming game Assassins Creed: Unity at this year’s Comic Con in San Diego developers Ubisoft have constructed a parkour driven obstacle course for people to use, allowing them to get the real Assassins Creed experience. As the video shows above you’ll be able to traverse, and run across obstacles using just your raw athleticism to conquer each section of the course. There’s just one hitch, the vast majority of those who will take part will likely be gamers…so, yeah…raw athleticism. Assassin’s Creed Screenshots Confirm The Rumours – The English Are The Enemy. 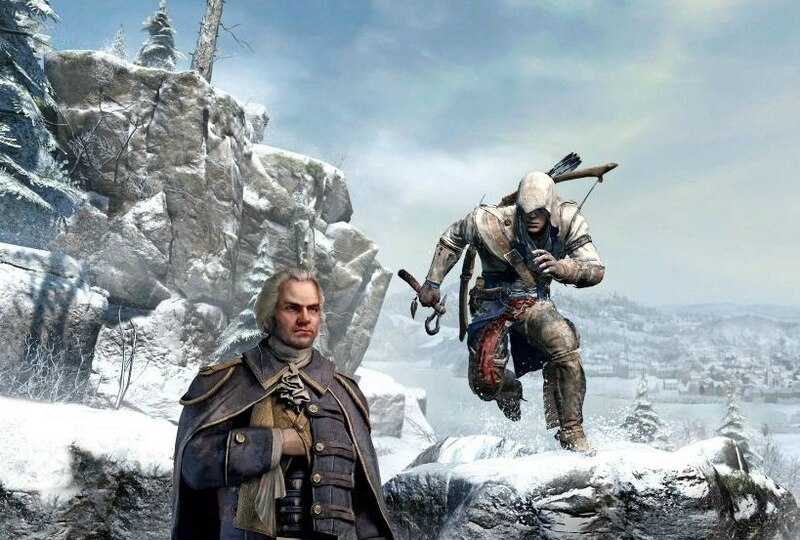 Posted on March 2, 2012 by Big Red	in Gaming Booty and tagged assassin's creed, assassin's creed 3, assassin's creed screenshots, games news, gaming, gaming news, ubisoft. Chart a course for HERE to see the entire collection of screenshots. 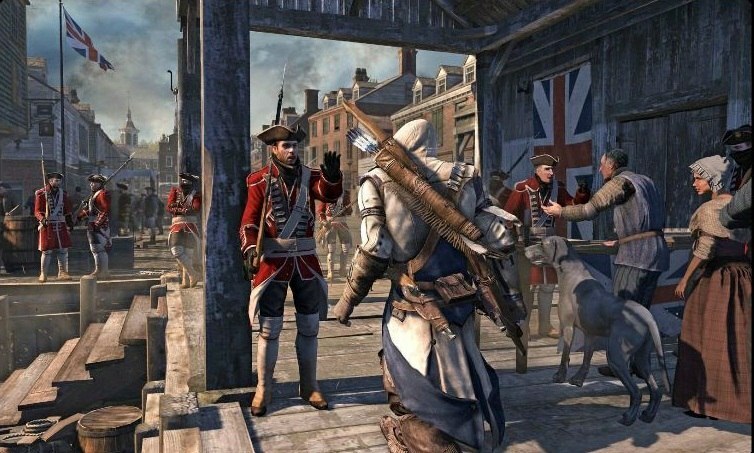 Just to confirm all the wild rumours over Ubisoft’s next installment of the highly successful Assassin’s Creed franchise, which were swirling about the Internet this week, the game will indeed be set in North America during the American Revolutionary War as these glorious screen shots demonstrate. The new protagonist is called Connor Ratohnhaketon who is half English and Native American. He was raised by Mowhawks. You can climb and leap from trees and mountain cliffs. The game is set between the years 1753 – 1783 and is centred around the cities of Boston and New York. You can hunt and kill a variety of different animals. The English red coats are the enemy. If you want to know a lot more about the game head over to Computer And Video Games who have a comprehensive list of all the finer details. Although this looks like a welcome change of pace for the game we can’t help but compare it to Red Dead Redemption.